The weather is slowly but surely warming up, and that means shorter hemlines. 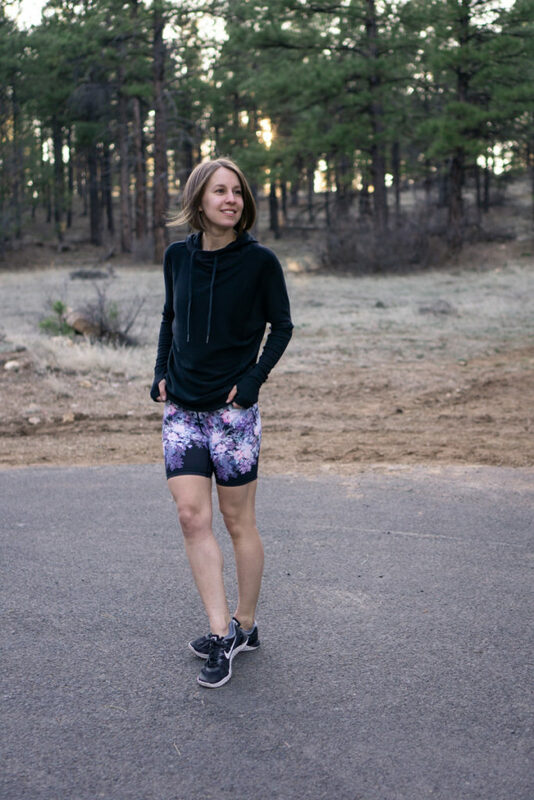 This season, a new kind of shorter hemlines has emerged in full force: bike shorts. I’ve seen them popping up everywhere, so I decided to try the trend out for myself. 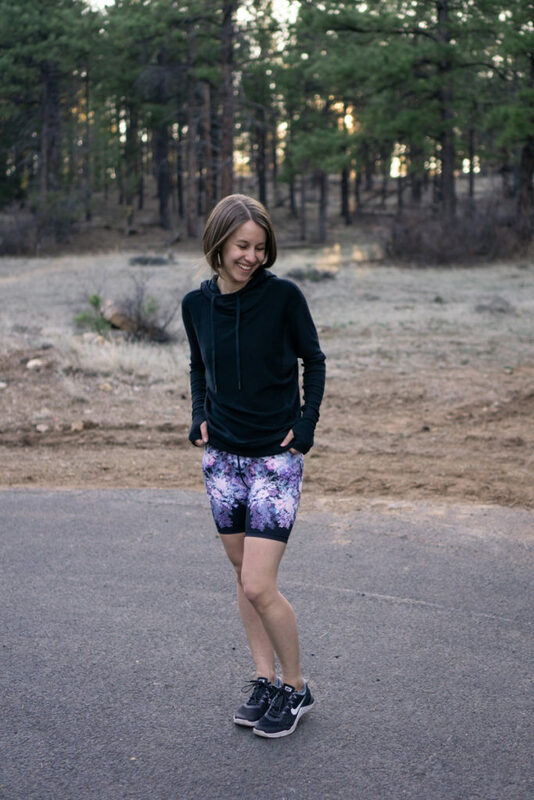 Bike shorts are a good option when you need something cooler than crops, but want more coverage than what most shorts offer. Plus, you get the comfort and compression of wearing tights without the extra fabric of full-length or even crops. By the way: Alala is having their friends and family sale this week, which means you can get all these styles for 20% off! Get the promo info on Alala’s site. 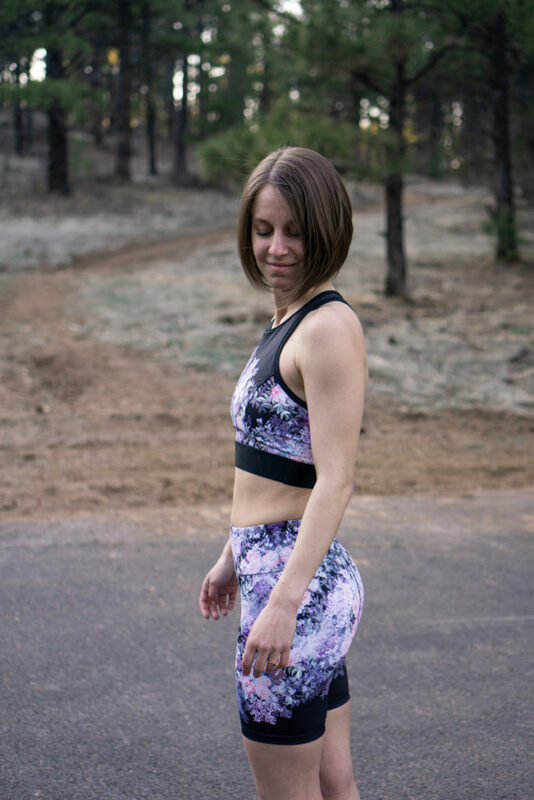 Disclosure: the shorts and sports bras in this post were complimentary from Alala. All opinions are my own. 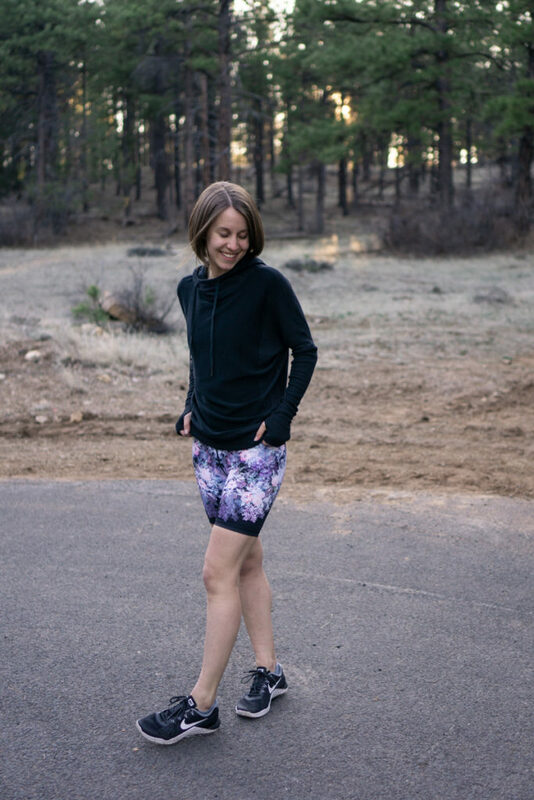 I got to try out 2 different styles: the coda shorts in future floral and the vamp shorts in black/white. I love that both of them have a little something extra to keep the style looking fresh and chic, instead of looking like a vintage find. These aren’t your mom’s 90s aerobics shorts. 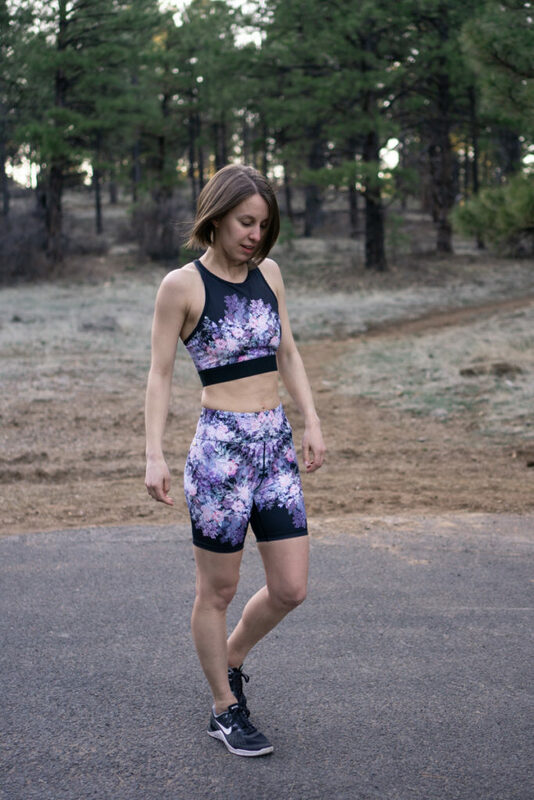 I love floral prints, and the future floral on the coda shorts is a fresh take that takes feminine and blends it with modern. The sports bra completes the look to make it it a nice matching set. The color-blocking on the vamp shorts is a nice way to incorporate white in your wardrobe. The curved shape of the white panel really helps to elongate the leg and flatter the booty. I absolutely love active looks with white, so I played it up with a lightweight white top. When it comes to bike shorts, inseam length is key. If they’re too long, they can look awkward, but if they’re too short, they can ride up. In my opinion, the ideal length is a couple inches above the knee, which is right about where both of these pairs hit. Since I’m pretty petite (5’3″), I’m really pleased with how well the inseam length worked for me. I measured the inseam length on my size XS at around 7″ on both pairs, but keep in mind the inseam length for Alala bottoms is typically longer for larger sizes. I’m wearing a size XS in both pairs, my normal size in Alala. In my opinion, they both fit true to size. The fabric on both pairs is slick and silky, not cotton-like, and they offer a little bit of compression while still maintaining comfortable, flexible stretch in all directions. The fabric is the same as what they use for their captain tights and vamp tights (not including liquid fabric, which has a different feel). Both pairs have a high rise, reaching up to around my belly button.The leg opening fits well–it skims the body without squeezing so tight it turns your legs into sausages. I tested both shorts with bright-colored underwear and they both passed the squat test. Even with the lighter print on the coda shorts, there was no show-through. I wasn’t sure what I’d think of the bike shorts, but I really like them both! A lot of my outfits in the summer tend to look similar, so these give me a way to shake things up and play with different silhouettes. I like those! I bought some Michi bike shorts right before these alala ones were released and really love them. I think that bike shorts are a perfect “in between” bottom like you said. I might need this black and white pair! I’m on a spending freeze right now but will definitely move these up my list… thank you! Yup it’s the love bra! It fits on the larger side compared to some of Alala’s other bras. It’s similar in fit/support/compression to the swell crop, if you’ve tried that one. I think I’d put the crossback bra in the same category as well. I plan to do a separate post on that bra plus a couple others, but it’s still a couple weeks out. These look great! Would you wear them as a casual outfit or only to the gym/working out? Thanks! :) Personally, I plan to just wear them for working out. That said, I certainly wouldn’t be afraid to throw on a jacket and leave them on while I go to lunch or run errands when the need arises.